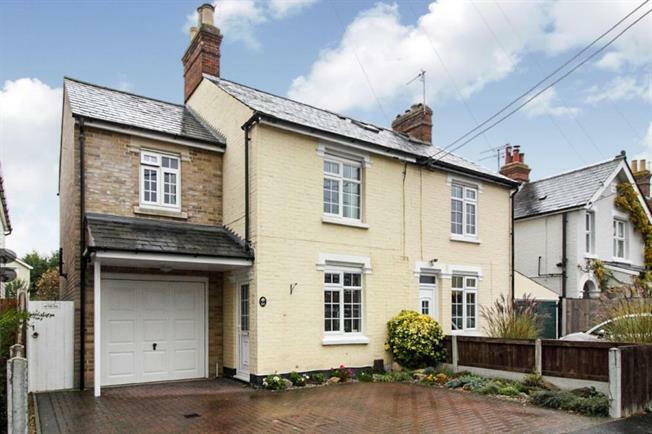 4 Bedroom Semi Detached House For Sale in Colchester for Guide Price £330,000. GUIDE PRICE 330,000 - 340,000 Village location, close to Heathland Primary school, two miles to North Station, bus route and A12 access. This well presented family home benefits from an open plan lounge/diner, kitchen, conservatory and shower room on the ground floor, upstairs there are four bedrooms and an en-suite to the master. The rear garden is fully enclosed with a side gate leading to the front where there is off road parking and a garage. Double glazed window to the side aspect, selection of wall and base mounted units with a roll top worksurface and a one and a half sink and drainer. Space for an oven and a fridge. Fence enclosed boundaries with a gate to the front, patio area with the remainder being laid to lawn, summer house and green house to remain. Parking to the front for two cars and a garage.